I first entered a church in autumn 1957. It was All Saints, Leavesden, Herts, a fairly undistinguished effort by George Gilbert Scott of 1853, but I hope I can be forgiven for not assessing its aesthetic merits at the time as I was only a couple of months old and the occasion was my baptism. (I'm not sure why my parents went in for this ceremony as they weren't and aren't religious; I assume their motives were social rather than spiritual.) I must have entered churches occasionally over the next few years as a child and teenager, but the first time I went out of my way to see one was in summer 1976, between A Levels and university. (I went alone, but I was inspired to go by my old English teacher, Ray Winch, with whom I was to visit many more churches in the following decades.) The church in question was St Nicholas, Hurst, Berks. I can't remember much now about the occasion or the church, but it must have made an impression on me because I rapidly became an addict, seeking them out wherever and whenever I could. I got into churches at the age of eighteen or nineteen, and I'm still into them now. Perhaps one day I'll try to explain (to myself as much as to any readers this blog might have) why I'm so 'into' churches. But what I'm going to write about at the moment is the physical act of getting into a church, of being able to open the door and walk in. Let me say from the beginning that I appreciate that what I'm asking for (reasonable access to churches) relies on the goodwill and efforts of a large number of people. Churches can't usually be open 24 hours a day, so someone will have to unlock and lock them, or be available to lend the key, which is a responsibility and time-consuming. I've never been responsible for the upkeep of a church, nor have I ever carried out any longterm voluntary effort; a reader of this blog could accuse me of sitting on my sofa tapping away at my laptop demanding that other people get up and do something while doing nothing myself, and I would have to plead guilty to this charge. So I'm going to try not to be too self-righteous. Forgive me if I don't altogether succeed. 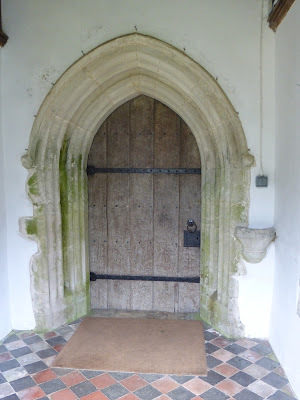 Getting into churches really shouldn't be something we even have to consider, let alone write bad-tempered blogs about: nearly all churches should be accessible (during the day, most days) as they're part of our common heritage. They belong to everyone. Our ancestors paid for them and built them, presumably on the understanding that they'd be available to later generations. I accept that a few that contain portable valuables will have to have restricted access, but the others should be accessible, preferably by being kept unlocked, or, if there's a good reason why they can't be left open, reasonable arrangements for visitors should be made. Permanently locking visitors out of churches is like putting razor wire around village greens. Perhaps this sounds idealistic but impractical; if churches were open, wouldn't they be robbed and vandalised, and probably burnt to the ground for good measure? But (as I understand) insurers recommend that churches are kept open, because potential burglars and vandals will be deterred by the possibility that someone might walk in and see them. Determined burglars won't be put off by a lock anyway and will break in, causing damage. Perhaps you're still not convinced. So answer me this: if open churches are going to be robbed and vandalised, why is it that the majority of churches are unlocked* and yet remain largely unrobbed and unvandalised? Consider the case of two churches not too far from Icknield country, St Paul's Walden and Kings Walden. As their names suggest, they're just a few miles from each other (but belong to different benefices). They're both country churches, with just a few nearby houses. I've visited the former many times over the decades, and I've derived great pleasure from doing so. It seems to be always open. The latter, on the other hand, seems to be always locked. I found it open once, about 25 years ago, but since then although I've tried the door when I've been passing several times at different time of the day and week, it's been locked. No information is provided about where the key might be found. 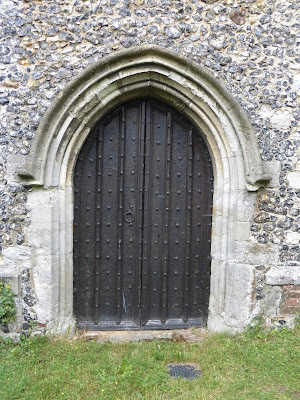 What are the custodians of Kings Walden church frightened of? I can't believe that the various villains living in the locality who leave St Paul's Walden alone would decide to descend on Kings Walden, reducing it to an empty and probably charred shell, should it open its door. The answer must be that these villains are much fewer in number, and less active, than some people suppose. It's the fear, rather than the real likelihood, of crime that keeps churches locked. What message does a locked church send? It says: This is a private club. Keep out. We don't want your sort, thank you very much. (This probably isn't the intended message, but nevertheless this will be what at least some people hear.) If churches are made inaccessible then they're going to lose their place (if they haven't lost it already) at the heart of the community. No one is going to 'get into' churches, as I did in my late teens, if they can't get into them. Why would anyone care about buildings that shut their doors against them? If churches want to become peripheral, forgotten and unloved, permanently locking themselves is a pretty good way of going about it. A couple of years ago I visited a church in Suffolk on a Sunday afternoon. 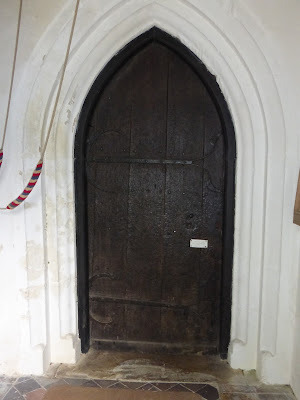 It was locked, so we phoned the churchwardens, who weren't available, and then the vicar, who agreed to let us in. They arrived a few moments later, so obviously hadn't had to travel far, and let us in, but did so with extraordinarily bad grace. All our pleasantries were rebuffed. They just sat with a face like thunder while we looked around, feeling about as welcome as a couple of recently off-duty chimneysweeps at a white tie ball. I'm very grateful to the custodians, even the Lady Somethings, who look after our churches. It must be an at times onerous job, and I'm not sure that I'd be able to do it. Without them churches would be in an even more perilous state than they are. Could those in charge of locked churches please advertise the whereabouts of keyholders, or times at which the churches are open? I always find that a pleasure shared is a pleasure more than doubled, and I'm sure that the custodians of the many open, welcoming churches get great pleasure out of their communal pride in their buildings, and sharing them with visitors. What pleasure does a permanently locked church bring? 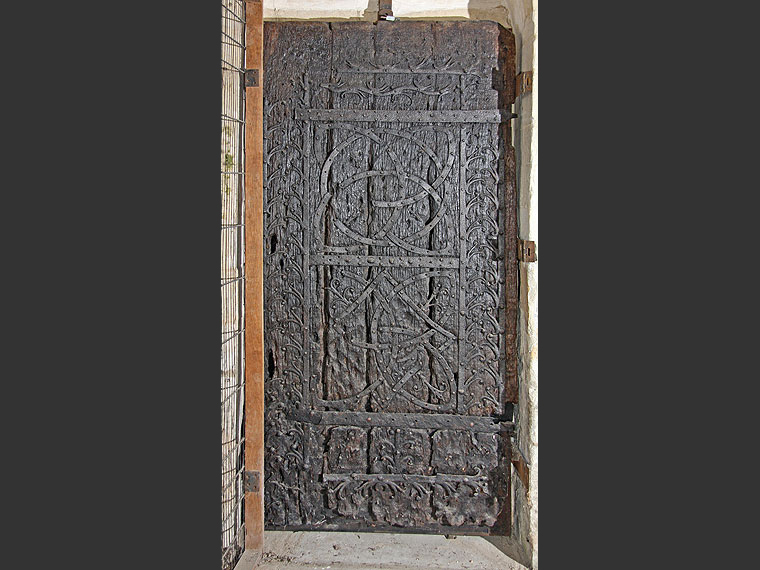 The pictures of church doors are: firstly, the north door of Little Hormead church, Herts, much the best door in the county. It dates from c1150, and has superb ironwork. It is currently undergoing conservation and inaccessible, but is usually accessible via a keyholder. The photo is from the website of Hugh Harrison Conservation. Secondly, the 14th century west doorway and door of South Mimms church, Herts, with decorative nailheads. The church is usually locked but accessible via a keyholder. Thirdly, the 15th century south door and doorway of Reed church, Herts. Lastly, the 14th century south door and doorway of Clothall church, Herts. Reed and Clothall are open at all reasonable hours. from another admirable website, Hertfordshire Churches in Photographs, which does exactly what it says on the tin plus a bit more.